Which one is the best DRM Removal software? Here lists Top 5 DRM Removal Programs. Choose the Best DRM Removal/Video Recorder yourself accrding to this article. You won’t realize the fact you don’t really own your videos, movies purchased through online stores e.g. iTunes, Amazon, etc. or .m4v and .wmv movies from digital copies until you transfer them to your Android-based device for playback. The reason behind the Android’s omission is the DRM(digital rights management), which is great as an anti-piracy technology, but it often punishes consumers that have legally purchased media. Thus, you may have a hard time synchronizing and playing your DRM-protected videos on your Android Tablet or smartphone. However, it can be done with help from third-party softwares. Here is a selection of the best software that removes DRM legally (doesn’t hack DRM encryption) and produces DRM-free videos that you can enjoy on practically any Android device. Pavtube ChewTune is an easy-to-use DRM removal tool that can legally produce DRM-free videos from M4V/WMV. Besides bypassing DRM protection, this DRM Media Converter tool is also good at recording your authorized videos or movies downloaded from a Digital Copy, iTunes, Amazon Instant Video, WB Digital Copy, BBC iPlayer, etc. to many other commonly used audio and video formats, so that you can use the DRM-free copies on practically any compatible electronic device, such as Samsung Galaxy Note 3, Galaxy Tab 3 10.1/8.0, Apple iPhone 5S/5C, Sony Xperia Z1, Xperia Z Ultra, LG G-Pad, Motorola DROID Mini, Moto X, Droid MAXX, Asus MeMO Pad HD 7, Fonepad 7, MeMO Pad Smart 10, Acer Liquid S2, and more. Instead of transcode/encode/decrypt DRM files, Pavtube ChewTune records your source DRM files to any video and audio format you like for multiple portable devices. Latest ChewTune abandons the old way to encode DRM videos; instead, it is a DRM Removal Recorder now. Since ChewTune records DRM videos to strip off DRM protection, it performs in a much stable way so that each recorded iTunes video or Digital Copy movie is available and valid for your computer hard drive and portable device. The recorded movies using ChewTune are included with better video quality than any other DRM Converter since it legally frees DRM files with 1:1 video and audio quality of the originals. A given audio driver has to be installed to enable ChewTune remove DRM protection, which may sound a little complicated and troublesome. A complete DRM free file will not be created unless you do not abort during ChewTune whole DRM recording process, otherwise no file will be generated. When DRM removal process starts, a window will pop up and play the source DRM file. This window would be persistently exist and show at the left right corner of your computer desktop the whole recording time, which cannot be minimized or closed; meanwhile, your computer would be muted till ChewTune finishes the work. When converting iTunes DRM files, you can minimize the iTunes window, but cannot move or close it. $29 only for lifetime license and upgrade at pavtube.com and there is free trial offered with watermark on exported videos. This is software that is adept and can convert any file that’s DRM protected for your immediate use. Once you have this fantastic DRM Converter at your disposal you can say goodbye to all the frustrations that you had ealier faced with DRM protected files downloaded from sites such as Amazon, iTunes, Nokia Music store etc. What’s more, the software also gives you the benefit of conversion in batch. This DRM removal software is a great enabler that not only lets convert your audio or video format files with complete ease an total efficiency, it also allows it to play it on any player of you choice. For audio files the Aimersoft DRM Removal Software is simply great becauseit removes all restrictions from music or audio books that you find in all popular formats of filesuch as M4P, M4B and M4A. You can also easily access WMA music subscriptions that youmay have to sites such as Spiralfrog, Pandora, iMeem, KaZaA and the likes. Audio and video files can be accessed easily. To be honest, The overall quality of the first two DRM Converters performance makes them optimal choices. Aimesoft rows after Pavtube mainly due to its a little higher price. $39.95 now only $35.95. Life-long free self-upgrade at aimersoft.com, online after service and tech-support 7/24. Tunebite 6, which is part of the much larger Audials One media suite, is a DRM removal tool that takes advantage of the analog loophole. Tunebite 6 is certainly an improvement over previous versions with additional benefits such as faster file conversions, support for more streaming media sites, and the Perfect Audio feature that guarantees error-free replication of your original DRM’ed files. However, having to manually install the Virtual CD burner is a downside; the shortcut to install this is hidden away in a sub-folder in the Windows Programs menu. The user-manual is also not as detailed or up-to-date as it should be. Fortunately these minor problems don’t overshadow how good Tunebite 6 is to use. It’s a solid performer that’s got a great selection of additional tools that go beyond simple DRM file conversion. Tunebite 6 is certainly recommended if you’re frustrated by the restrictions of DRM or need a media toolbox that can convert, record, and backup your music and video files. is certainly an improvement over previous versions with additional benefits such as faster file conversions, support for more streaming media sites, and the Perfect Audio feature that guarantees error-free replication of your original DRM’ed files. However, having to manually install the Virtual CD burner is a downside; the shortcut to install this is hidden away in a sub-folder in the Windows Programs menu. The user-manual is also not as detailed or up-to-date as it should be. Fortunately these minor problems don’t overshadow how good Tunebite 6 is to use. It’s a solid performer that’s got a great selection of additional tools that go beyond simple DRM file conversion. Tunebite 6 is certainly recommended if you’re frustrated by the restrictions of DRM or need a media toolbox that can convert, record, and backup your music and video files. $39.90 now only $24.9. Updates within a major version (i.e. the first digit in the version number) are for free. Non-free updates include completely new features and functions at tunebite.com. As one of the best DRM removal softwares, NoteBurner’s simplicity makes it a joy to use and it does an excellent job of converting different audio formats, including DRM protected videos. Actuall, this DRM removal tool is an iTunes video DRM removal software which can only remove DRM control and convert iTunes m4v movie purchase and rental. It allows batch conversion and highly customized. However, it doesn’t allow you to get rid of restriction from other DRM-protected contents like Digital Copy,Amazon Instant Videos etc. Meanwhile the price is a little higher. $49.95 at noteburner.com. NoteBurner upgrade service is free. $29.95 USD for 15 Days FREE Trial at applemacsoft.com. $18.99 at muvenum.com. Trial Limitations: Converted files are limited to 60 seconds. DRM technology has been both a boon and a bane. While manufacturers have rejoiced as it has provedits efficiency as a great anti piracy tool, the everyday users of the internet like you and I have had tosuffer because this hampered with the freedom of us using the downloads in the way that was bestsuited to our needs. It is true that there is a plethora of media players available today and therefore onlya DRM removal software that is applicable across all players is one that is a perfect choice. An application that just added to App Store, designed by FiftyThree company which is formed by a number of Microsoft Courier former designers, bring iPad a creative interactive Notepad. 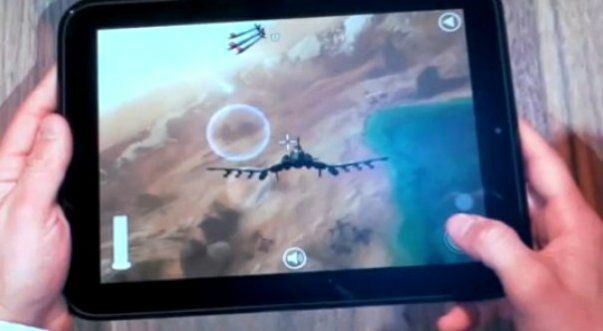 Is the next major Honeycomb tablet play seriously coming from Lenovo? Sure looks it, as the company has just taken the (final) wraps of its IdeaPad K1. For all intents and purposes, the K1 is a LePad dressed up in Android — this one’s packing a 1.0 GHz Tegra 2 chipset, a 10.1-inch (1280 x 800) capacitive touchpanel, Android 3.1, a two-cell battery (good for “up to ten hours”) and a few minor software tweaks that may or may not appeal to you. From a design standpoint, there’s not a lot new here, though we will confess to really digging the textured backplate. It’ll ship in 16GB and 32GB flavors, with WiFi-only and 3G + WiFi variants available. For the latter, a Gobi chip will be implanted to enable connectivity with Verizon Wireless, AT&T or Sprint here in the US of A, though details on global 3G modules weren’t readily available. The company’s also tossing in Social Touch, a homegrown app that pulls together your email, calendars and social networks for a single-pane view of your entire digital life. It’ll ship to America (and most of the world, in fact) on July 28th, Let’s wait and see. 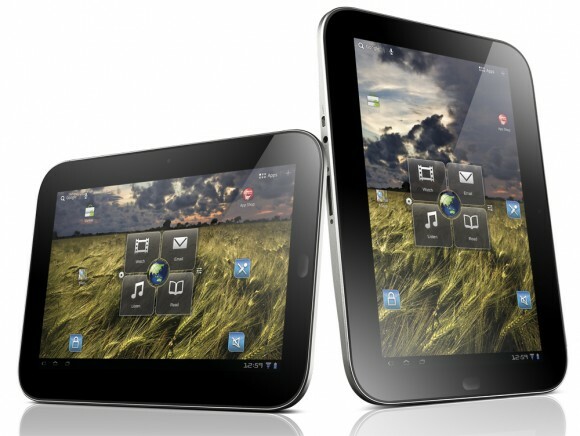 HP Touchpad is a powerful rival for Apple ipad and Motorola xoom. 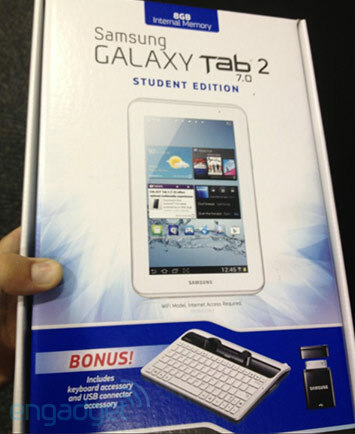 We have reasons to believe that it will bring a new round of tablet upsurge. Like other tablets, HP Touchpad can’t play disc movies. So if we want to watch DVD films on HP Touchpad, we should rip and convert DVD movies to HP Touchpad compatible formats. 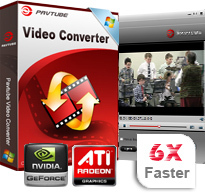 Today i will recommend you a professional tool - Pavtube DVD to Touchpad converter for mac. Pavtube DVD Ripper for mac is special designed for mac users by Foxreal Studio. With it, you are able to quickly convert DVD disc, DVD folder and IFO/ISO image files to almost other popular video or audio format with only three clicks, such as MOV, MP4, FLV, 3GP, 3G2, MKV, AVI, WMV, ASF, SWF, MP3, AC3, AAC, OGG, etc. It also has many presets for different portable devices, such as iPad 2, iPhone 4, iPod Touch, Apple TV, Motorola Xoom, droid x, Galaxy tab, Galaxy S, Nook color etc. This tool is designed based on Mac OS, so it’s compatibled well with mac computer. In addition, It’s also a wonderful Mac video editor tool which provides certain useful editing functions to help you edit DVD video file in a simple way. It is easy to select the wanted chapters or subtitles of DVD discs to convert or merge into a large one for playback smoothly, cut off black margins or unwanted parts for full screen playback, add text/image/video watermark to protect DVD copyright, adjust the volume of DVD file for better sound enjoyment and so on. 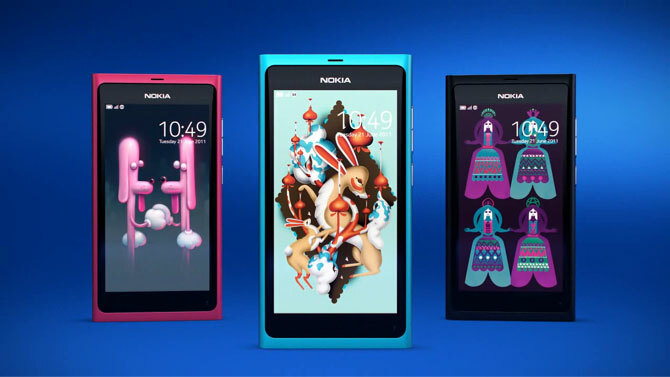 Nokia N9 is really another flag of cell phones. This phone is designed away from the physical buttons, only the slide and gestures. Bold use of an integrated polycarbonate material, allow the antenna to play a good signal strengths, but also on the hands of the very texture, offers three colors blue, magenta, and jet black, UI interface, followed the style of ANNA iCON, rounded corners, double-click the unlock is quite different, the optimization of the entire system has been very good, OMAP3630 processor performance the best, the browser of Nokia N9 based on the latest Webkit2 technology, even when the page loads, the screen will respond. HTML5 support access to rich web applications and fast video playback, while the NFC is also good selling point. Lenovo ThinkPad X1 has already appeared in the Amazon UK website. 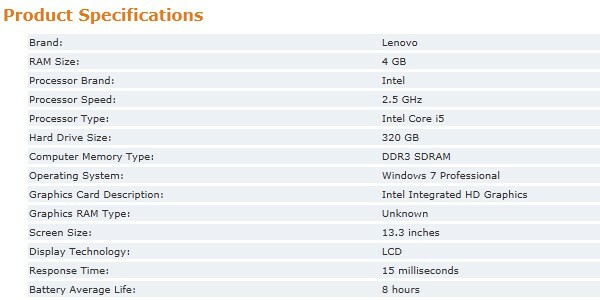 ThinkPad X1′s Sandy Bridge platform is much better than the performance of Core 2 Duo platform, which the MacBook Air using. ThinkPad X1 features Standard Core i5-2520M 2.5GHz processor, 4GB DDR3 RAM, integrated graphics processor, 13.3-inch LCD screen at response time of 15ms, 8 hours of battery life. However, only 320GB mechanical hard drive, not equipped with solid state drive is regrettable.